If you set NonLinearData using rfdata.ip3 or rfdata.power, then the property is converted from scalar OIP3 format to the format of rfdata.ip3 or rfdata.power. h = rfckt.amplifier returns an amplifier circuit object whose properties all have their default values. h = rfckt.amplifier('Property1',value1,'Property2',value2,...) sets properties using one or more name-value pairs. For example, rfckt.amplifier ('IntType','Cubic') creates an RF amplifier circuit that uses cubic interpolation. You can specify multiple name-value pairs. Enclose each property name in a quote. Computed S-parameters, noise figure, OIP3, and group delay values, specified as an rfdata.data object. For more information refer, .Algorithms. Number of ports. The default value is 2. Create an Amplifier using rfckt.amplifier object. The analyze function uses the data stored in the NoiseData property of the rfckt.amplifier object to calculate the noise figure. The analyze function uses the data stored in the NonlinearData property of the rfckt.amplifier object to calculate OIP3. If power data exists in the NonlinearData property, the block extracts the AM/AM and AM/PM nonlinearities from the power data. Computing the scaled input signal by multiplying the amplifier input signal by f.
Limiting the scaled input signal to a maximum value of 1.
where u is the magnitude of the scaled input signal, which is a unitless normalized input voltage. The analyze function uses the data stored in the 'NetworkData' property of the rfckt.amplifier object to calculate the group delay values of the amplifier at the frequencies specified in freq, as described in the analyze function reference page. The analyze function uses the data stored in the NetworkData property of the rfckt.amplifier object to calculate the S-parameter values of the amplifier at the frequencies specified in freq. If the 'NetworkData' property contains network Y-parameters or Z-parameters, the analyze function first converts the parameters to S-parameters. Using the interpolation method you specify with the IntpType property, the analyze method interpolates the S-parameter values to determine their values at the specified frequencies. Specifically, the analyze function orders the S-parameters according to the ascending order of their frequencies, fn. 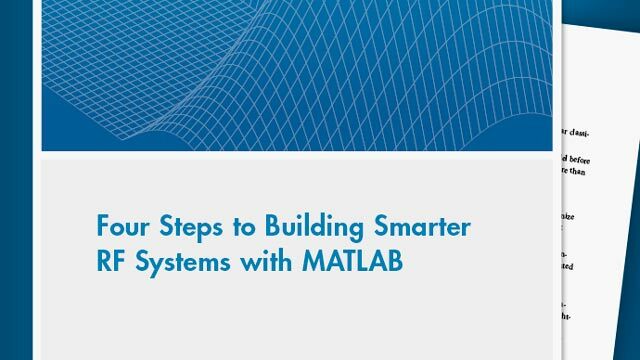 It then interpolates the S-parameters, using the MATLAB® interp1 function. For example, the curve in the following diagram illustrates the result of interpolating the S11 parameters at five different frequencies. For more information, see “One-Dimensional Interpolation” and the interp1 reference page. As shown in the preceding diagram, the analyze function uses the parameter values at fmin, the minimum input frequency, for all frequencies smaller than fmin. It uses the parameters values at fmax, the maximum input frequency, for all frequencies greater than fmax. In both cases, the results may not be accurate, so you need to specify network parameter values over a range of frequencies that is wide enough to account for the amplifier behavior. EIA/IBIS Open Forum. Touchstone File Format Specification, Rev. 1.1, 2002 (https://ibis.org/connector/touchstone_spec11.pdf).